As a reminder, you first learned about the AutoMapper “flattening” feature in your ASP.NET MVC web apps class. It was presented again last week, when we reviewed the guidelines for handling associated data. The feature works very nicely in scenarios where you need the values of individual properties in “to-one” associated objects, but you don’t need or want the entire object. In Assignment 3, you will use this feature in your work. In the September 15 notes, review the section titled “AutoMapper usage and tips”, specifically the first section titled “Mapping the individual properties…”. 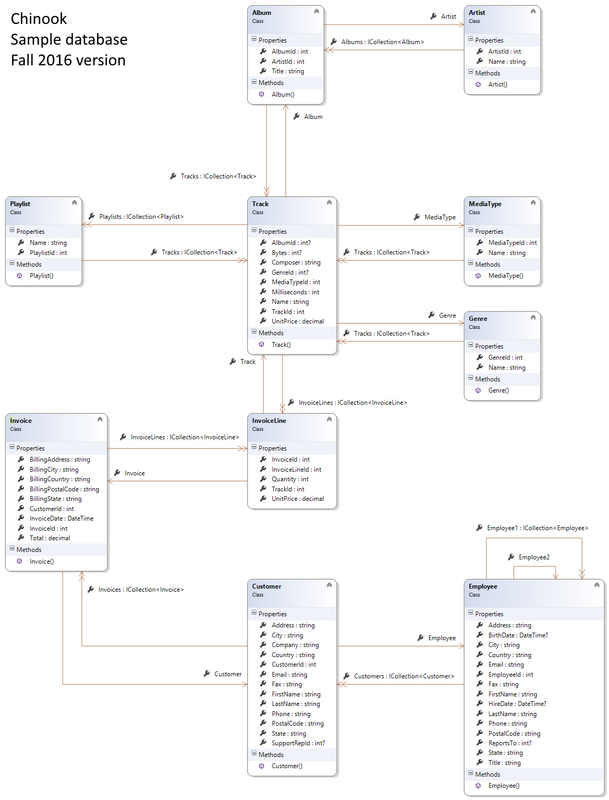 Here is a class diagram, in PNG image format. Click to open it full-size in a new tab/window.